Javier Ferreiro is a Spanish scriptwriter, director and producer based in Barcelona. He has an M.F.A. in Scriptwriting for Film and Television from the Carlos III University of Madrid and studied Fiction Film Directing at the International School of Film and Television (EICTV) in San Antonio de los Baños, Cuba. During his studies, he wrote and directed several short films, such as Una pared and ALFA, which premiered at the Guadalajara International Film Festival. Javier has also worked with film directors such as Mia Hansen-Løve, Bruce LaBruce and Jaime Rosales, among others. Family relationships, homoeroticism and illness are some of the themes that Javier explores in his work. 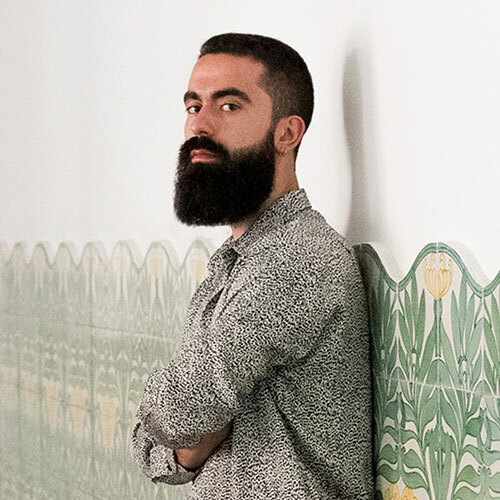 Dinosaurio is his new project as a director and his first feature film, a script which was awarded a development grant by the Ibermedia Program in 2017. Dinosaurio — During their trip to Cuba, Abel and Julio, a married couple going through a crisis, enter a clandestine vampire universe where foreigners feed on the blood of young Cubans.